Jodi Ewart finished sixth in the recent 2010 Duramed Futures Tour Qualifying Tournament, playing as an amateur, and finishing 4-under over the 90 holes of golf. She'll turn pro and join the Futures Tour around the middle of next year, at the conclusion of her senior year as a member of the women's golf team at the University of New Mexico. Jodi, from England, will likely leave New Mexico as the greatest golfer in that program's history - if that's a title she hasn't already earned. 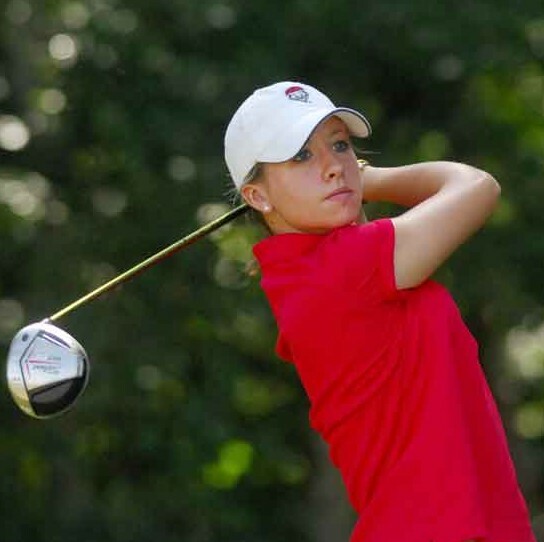 She shares the school record for collegiate wins with LPGA Tour player Caroline Keggi. Jodi is the only golfer in conference history to win the Mountain West championship tournament in back-to-back years. She holds the school single-season record for scoring average, but is on pace in the 2009-2010 season to shatter her own record. And in addition to all that, Jodi has led English teams in multiple international competitions, including the Curtis Cup. In other words: She's good. Watch for Jodi on the pro tours beginning in 2010.